The Test will consists of only Multiple Choice Type Questions (with only one correct answer). In case of tie, Toppers will be decided on Time Spent to take the Test. 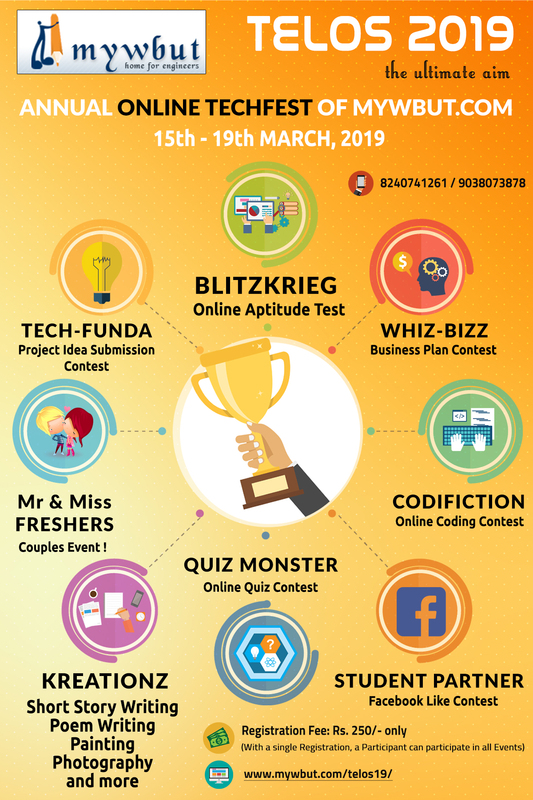 Participant can take the Test only once between 15th March, 2019 (10.00 AM) to 19th March, 2019 (11.55 PM). To prevent cheating, we will analyze answering pattern, IP address of all the Participants.